Outside: All I ask is the chance to prove that money can't make me happy. 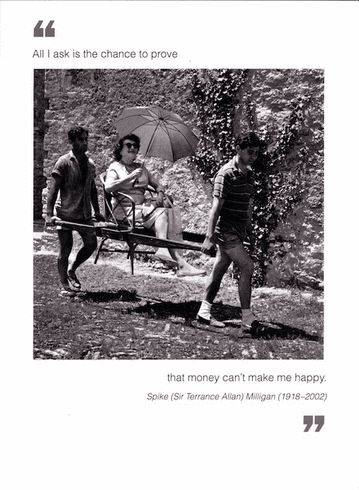 - Spike (Sir Terrance Allan) Milligan Inside: Blank. Borealis Press card measures 5 x 7 inches. Includes envelope.